Mobile text messages (SMS) enable brief text messages to be exchanged between 2 parties (such as an organization and its customers) within seconds. 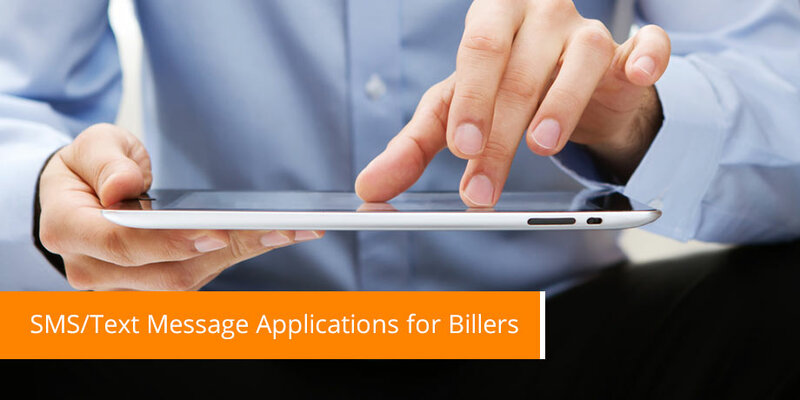 There are many applications for Billers and banks alike. Furthermore, this method of communication is far cheaper than any other mobile communication medium. In particular, text messaging lends itself to be used by businesses across the globe as a means of communicating directly with targeted recipients. According to the International Telecommunication Union (ITU), by the middle of 2004 the number of mobile phone subscribers around the globe had reached nearly 1, 5 billion – about one quarter of the world’s population. The growth in mobile phone subscribers has now outpaced the growth in the number of fixed line users which totals about 1, 9 billion, and is outstripping the rate of increase in Internet users. However, while the initial growth and adoption of mobile phones by consumers has been nothing short of astonishing, the potential for data traffic through mobile text messages within the business market is still relatively unexploited. Text messaging is a very powerful complimentary communication medium. It is personalizable, highly cost effective, reliable, and instant. The message reaches the customer wherever they may be and has a very high penetration. The Striata Application Platform has been architected to easily enable the use of mobile text messages as one of the messaging channels available through the platform. Striata’s text message process is integrated (through our mobile partners) with most of the network providers around the globe, and facilitates both outbound and inbound traffic. Our North American infrastructure is fully operational and ready to send your text messages. A fully scalable carrier-grade message delivery platform. Reliable, full featured (Unicode, 8bit, Flash, Sender ID, etc) mobile text messages delivery to over 550 mobile networks within seconds. Detailed real-time reporting and message tracking capability. A secure delivery environment with full redundancy and disaster recovery infrastructure. 24 x 7 x 365 server monitoring and on-call support teams. Got questions, comments, or ideas for us?